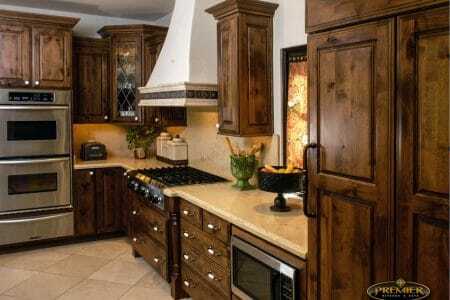 Premier Kitchen and Bath can help with the space planning and room specific design of your entire home remodel. In addition to furnishing and installing all the necessary components (see product procurement) to facilitate the remodel we will handle necessary permits, inspections, job-site protection, demolition, disposal, concrete, framing, plumbing, electrical, HVAC, insulation, drywall, painting, tile, glass, and any other trades that may be needed(i.e. stucco, roofing, pavers). The importance of having one person responsible and accountable for a large remodel cannot be understated. Projects of larger size require more supervision, communication, and over-site in order to avoid delays and cost over-runs. Sometimes existing rooms are enlarged, added-on to the house, or relocated to other areas of the home. This often leads to updating of other areas of the home as well. The foundation of good design starts with a functional floor plan. Our client’s lifestyle, family size, budget, and long term plans for their family are all taken in to consideration while we develop a general space plan for your remodel project. 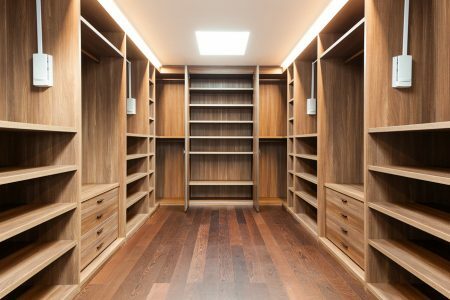 Interior remodeling projects require quite a few specialized skill sets that are not often found in one place. Qualified remodeling contractor, kitchen and/or Bath designer, and product showrooms/ suppliers to name just a few. Often, the assistance of an interior designer is requested to help select or coordinate paint colors, window coverings, furniture, and the like. Premier combines all of these talents under one umbrella. This helps ensures a cohesive design and a stress-free remodeling experience for our clients. Premier offers a large selection of carpet, tile, natural stone, and hardwood flooring. Whether incorporated into a remodel or just a stand-alone project, Premier’s highly skilled craftsman will provide the same timely and professional service. Laundry centers today often provide more than a space just to wash and dry clothes. Special features, such as, ironing centers, sewing areas, laundry chutes, activity organization and additional food storage are often incorporated into the space. If space and location allow, this space can be a great area for children’s outdoor gear, book bags, and pool towels. Lighting can play both a functional and aesthetic role in a space. It is very uncommon that we encounter a remodel project that cannot be enhanced by modifications to the existing lighting. While embarking on a new project, premier’s designers carefully prepare an electrical plan that will meet the general, task specific and decorative aspirations of the project. Beam spread, lumens, and lamp (bulb) temperature all play into achieving the desired look and functionality of the space. Sometimes slight modifications to interior partition walls, soffits, or dropped ceilings can make a great impact on the overall feel of a remodeled space. Our designers present and help evaluate these options. By doing so, our clients realize the best overall value for remodeling dollar. Whether utilized for paying bills, a place for completing homework, or a daily eight hour engagement affair, the home office is an essential part of the American home. The beauty of designing a home office to fit your needs and lifestyle cannot be understated. Whether integrated into the kitchen or spaciously designed in a room of its own, the possibilities abound in both product selection and functionality. While most entertainment centers contain similar electronic products, how they are designed and built have a great impact on both the performance and aesthetic appeal. Typically, entertainment centers are designed and built utilizing custom cabinetry pieces. Accent lighting, wood species selection, and custom finishing affects can have a dramatic effect on the overall look. Many entertainment centers are built into the existing home by creating recessed areas or cavities. Some are for housing the components while others may be used for shelving or architectural elements. In addition, the use of accent lighting, paint colors, and decorative tile and stone, can really bring to life the desired look. When designing a home entertainment center, Premier pulls together its knowledge of remodeling construction, decorative materials and finishes, and design, to produce a gathering place that you, your friends, and family will enjoy for years to come. Premier can design and build you a climate controller wine cellar within your home. Whether ornate or traditional, one hundred or one thousand bottles, we can create a secure and protected place for your valued collection.